Home of the Eat-Clean Queen. Tosca Reno, creator of the best-selling Eat-Clean Diet® book series, cover model, columnist and motivational speaker — found herself as President of Robert Kennedy Publishing in 2012, after the death of her visionary publisher husband, Robert Kennedy. It was clear at this point she needed a real website — one that could pull her popular blog, appearance and media info under one roof. 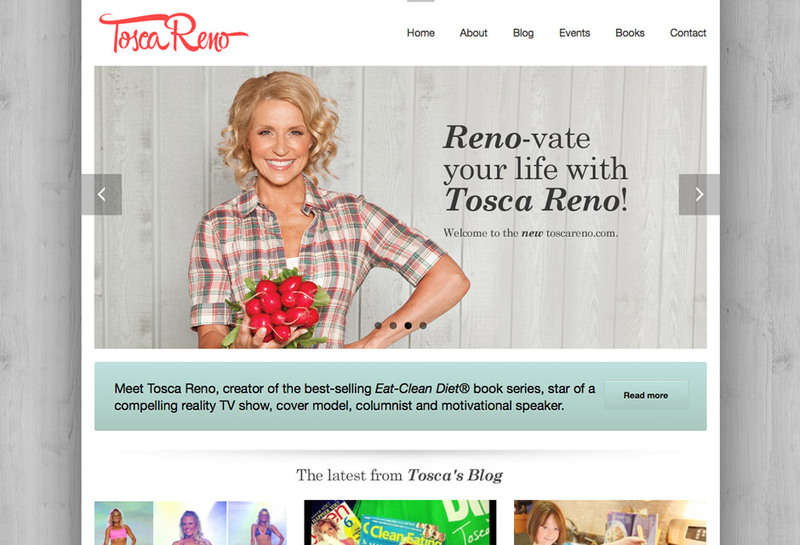 After a disastrous launch of her initial site, Tosca was open to ideas. Branding was a tough prospect — Tosca overlaps into fitness, food, body and mind. How do you represent that all in one logo? After many at tempts I took the Betty Crocker approach with the logo — casual, comfortable and classic. In my mind, I visually presented Tosca as an accessible source of knowledge and inspiration. The key word here was accessible. I built the colour scheme out of a photo of Tosca in a casual plaid button-down, and went from there. 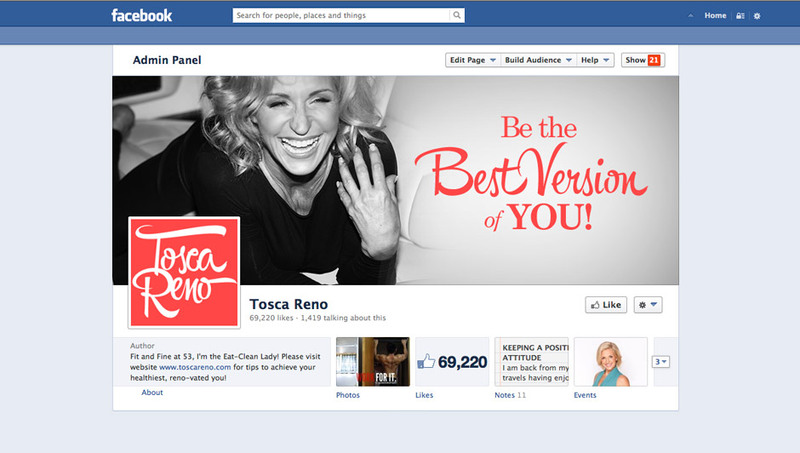 This project encompassed an entire rebrand of Tosca Reno online, involving all of her social channels, eblasts, and event signage.